Burgundies were downright cheerful when I saw them at the end of 2018 to taste their 2017s. Finally, they had wines to sell! The big smile was due to the generous crop in 2017 which was lacking in the previous seven vintages. 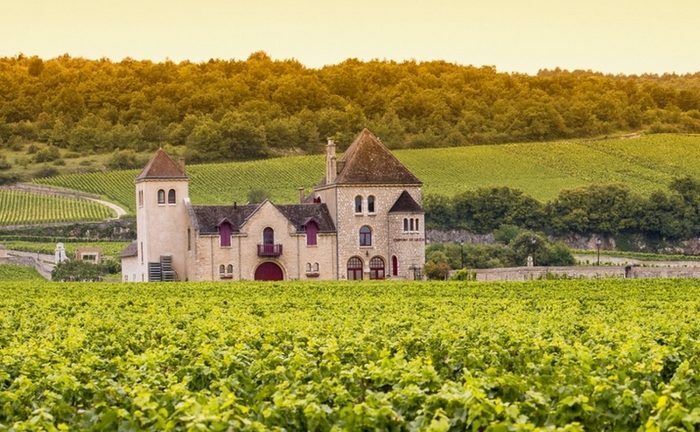 But this was not the case for everyone – Chablis was hit again with frost in April and at Domaine Raveneau, they lost one-third of their crop to frost. Spring 2017 was the fickle month when it seemed spring had arrived with early budburst, but suddenly the temperature dropped. However, learning from the frost in 2016, vignerons in the Cote d’Or did what they could to minimize the damage. Some like Bonneau du Martray used helicopters but many others burned candles and straw bales to raise temperatures in the vineyards. Most of the summer was smooth sailing with warm temperatures in August and for many, a large crop. Cyprien Arlaud says he had to green harvest in 2017 to keep yields down (as he did for 2018) explaining that vines reacted to the April frost by being more vigorous, especially in certain vineyards in Chambolle-Musigny. Given the low yields of the previous 7 years, it would have been easy to encourage higher crop levels, but that would have affected quality thus many opted to debud or green harvest in 2017. Summer was warm and sometimes hot, which gives this vintage a sun-kissed sweet character. Many estates harvested early, the whites in late August and the reds in early September. I tasted more than 1,000 2017 Burgundy wines and it was pure pleasure. The red wines are aromatic, harmonious and friendly. Francois Millet of Domaine Comte Georges de Vogue said “2017 is spherical with wise acidity. It is a friend you can trust.” That is exactly how many of the red wines appeared to me: Friendly, approachable and balanced. This is not an intense or concentrated vintage, but there is subtle power in the best wines, which should allow them to age well. The excitement in 2017 is for the whites, which managed to capture the appealing sweetness and expressiveness of the vintage without losing its slim shape and acidity. The acidity was not high in this vintage but those who picked early captured juicy, delicious flavors without losing freshness. Overall, this is a vintage that will be dependable, balanced and without any excesses. It will be my go-to vintage in restaurants and one that I will buy to follow its evolution in my cellar. To read about the best white wines from this vintage, click here.